The explosion of new digital learning technologies, the exponential growth of Internet usage and the advent of the World Wide Web are changing the face of medical education. There are also demands in medical education for greater globalization, for the development of common core curriculum standards, for improving access to training, for more flexible and student-centered training programs including programs with multi-professional elements and for maintaining quality while increasing student numbers and working within financial constraints. 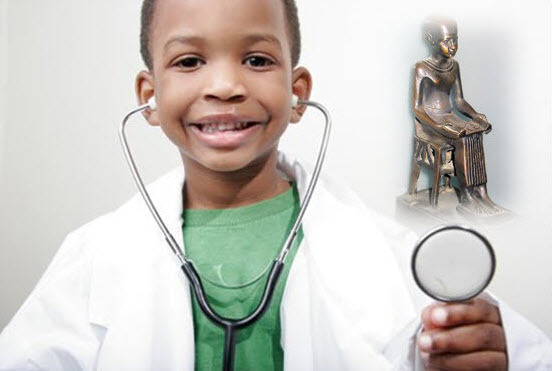 Hence enters Imhotep Virtual Medical School (IVMS), a high-quality education program embodying a hybrid model of a blended curriculum of innovative e-learning approaches and the best of traditional face-to-face teaching, as one response to these challenges. Ø A flexible curriculum which meets the needs of different students and has the potential of increasing access to medicine, particularly for United States racial/ethnic minorities and the socio-economically disadvantage.